I ran in to my craft room the night before we left for the wedding to try and whip up some sort of card/tag. Armed with the invitation and some supplies still sitting out from my last project, this was the little tag I ended up making. I used the same Stampin’ Up sale-a-bration set, Sweet Summer, for the front and the same Sizzix Framelits to make the shape of the card. I kept the folded silver paper just below the top of the framelit to get a shaped folded card. I colored the image (stamped with black StazOn ink) with watercolor pencils. 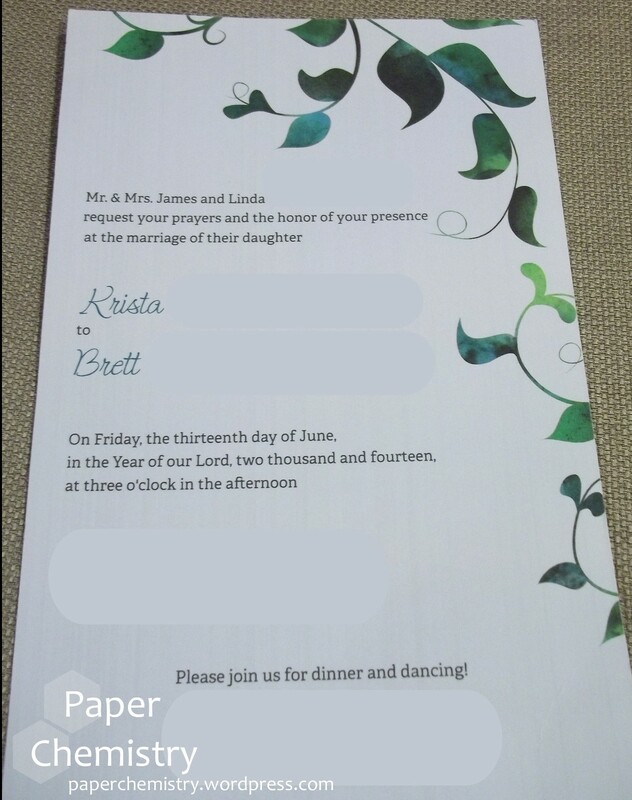 I was able to get the wedding sentiment from the God’s Blessings set from Stampin’ Up (retired) to just fit inside the tag on white card stock cut to the size of the green layer on the outside. Here’s a glimpse at the invitation, so you can (hopefully!) see the connection I was trying to make. I think it’s fun to try and match the gift tag or card to the wedding invitation. I’m not sure the couple always notices what I’m going for, but it’s fun to try nonetheless! I really loved the invitations and wish I had had more time to spend on the card to make something that would have matched even better. 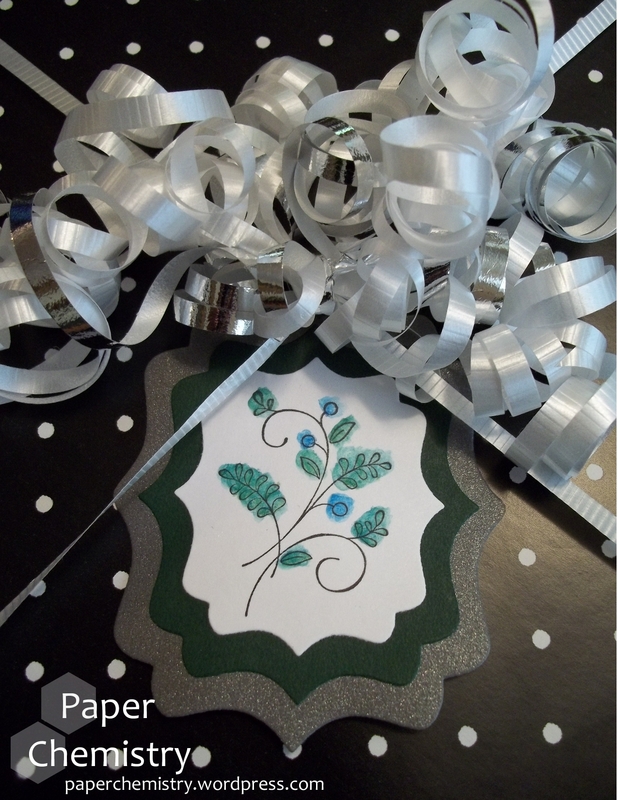 Do you try to produce paper crafts that match the theme of the wedding or event you’re attending? I think it makes the card (or gift) seem more personal.